Perhaps this is the most important change in rules this year that could impact many salaried persons who claim house rent allowance. As per I-T departments circular, you have to mention the PAN of your landlord, if you are paying an annual rent of more than Rs.1 lakh. If your monthly rent is more than Rs.8,333, it is mandatory to quote the PAN of landlord. If the landlord doesn’t have a PAN, a declaration to stating this along with the name and address of the landlord should be filed, explains Vineet Agarwal, director, KPMG. The new rule could be bothersome for many individuals paying rent, as landlords may refuse to part with their PAN. First-time home buyers can look forward to some additional tax savings this year. However, the loan amount has to be under Rs.25 lakh to claim the benefit. Also, the value of the residential house should not exceed Rs.40 lakh. In addition, the deduction is available, only if the assessee does not own any residential house property on the date of sanction of the loan, says Suresh Surana, founder of tax consulting firm RSM Astute Consulting. If you have obtained a home loan this year (financial year 2013-14 ), you can claim an additional tax deduction of Rs.1 lakh on the interest paid on that loan under section 80EEE. Moreover, if interest paid during the year is less than Rs.1 lakh, the unclaimed deduction can be utilised in the subsequent year. If your annual taxable income is under Rs.5 lakh, you will be entitled to a tax rebate of Rs.2, 000 this year. 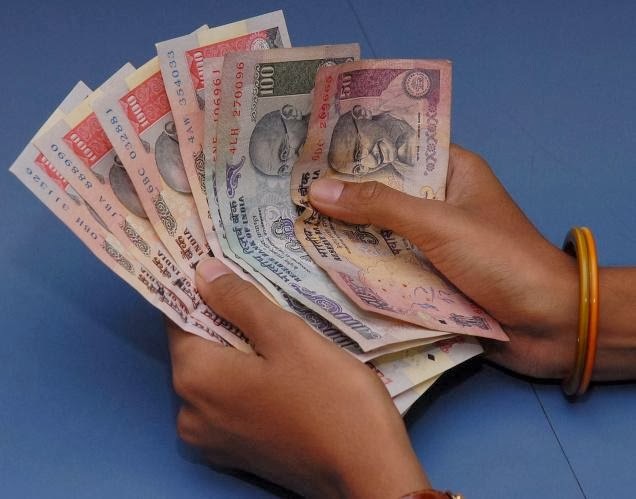 The lower of Rs.2,000 or the entire tax liability (tax payable) will be allowed as a rebate under section 87A of the Income tax Act, says Agarwal. While this is not exactly a rule introduced this year, many employers and employees are still unclear about tax treatment of donations. Typically, most employers do not take into account the donations made by employees, which qualify for tax deduction under section 80G. Because of this, individuals will have to claim refund when they file their returns for tax deductions on these donations. Over the last few years, TDS circulars were issued expressly stating the intention of the government to allow deduction by the employer only if donations were made to certain specific funds through the employer. However, inthe recent couple of TDS circulars, no such restrictions have been made. This relaxation is a welcome step as employees can provide donation receipts to the employer, explains Agarwal. However, not all tax experts are convinced that the change in rules will help employees immediately. The employers have been given an option to factor in the 80G donations. However, it is not mandatory. Many employers may choose not to give the benefit while deducting tax at source, as it is not easy to verify whether the donations made are actually eligible for deduction due to lack of documentary evidence submitted. Not many would want to take on the liability, cautions Surana. Get in touch with your organisation and ask about its policy on donations. Also, remember, you will not be able to claim this deduction if your donation is made in cash and exceeds Rs.10,000.